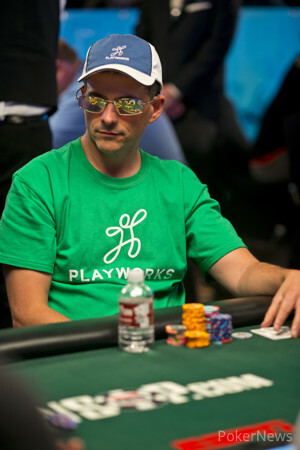 Bill Perkins raised to 28,000 from early position, David Einhorn moved all in for 290,000 from the hijack seat, and the action folded back to Perkins, who grabbed chips. "LEEEEEEEEEEEEEEEEEEEEROYYYYYYYYYYYYYYYYY!!!!" Perkins yelled as he slammed the chips onto the felt. "JENNNNNNNNNNKINNNNNNNNSSSSS!!!" After delivering his rendition of this classic YouTube clip, he turned over . Einhorn was dominated with . The board rolled out , and Einhorn was eliminated. The two good friends embraced after the hand, then Einhorn hit the rail. 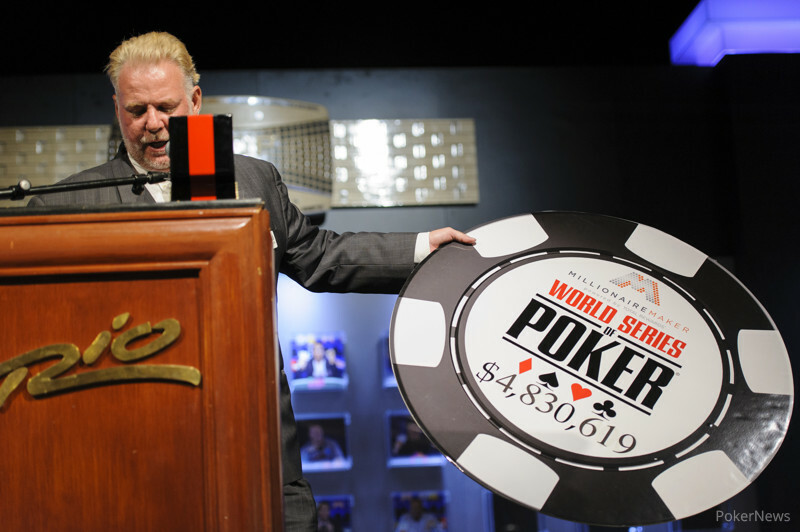 Who Will Win The One Drop High Rollers No-Limit Hold'em? "Don't Get Too Excited, Tony"